First up is the Annual plant sale Sat May 14, 8am till noon at the Optimist hall parking lot. Always a great selection of healthy perennials and annuals, with the addition of garden related art, and accessories providing something for everyone. Knowledgeable volunteers will be on hand to assist and answer questions. Anyone wishing to donate items for sale, drop off is Friday May 13th between 5-7pm at the Farmers market. Please have in pots and identify plant type and color. Plant sale is DHS biggest fundraiser! Next up May 19th, DHS monthly program featuring, Lester Fretz a returning favorite, presenting on backyard greenhouses. Doors open 6:30pm meeting starts promptly at 7pm at the Optimist hall. Program is open to everyone, a membership is not required, also includes draws, refreshments, and friendly people all in one place. April’s program had 91 sign in, a record for April. DHS attributes the great turn out to the membership drive held at the Lions Home Garden and Craft show this year, providing DHS amazing exposure to engage with the public. Sat May 28th is another big day for DHS. Volunteers come out in full force to plant all Dunnville’s Public beds with over 200 trays of annuals donated once again from Konkle Greenhouses. Planting begins at 8am, volunteers are asked to meet at the parking lot by the bridge to receive direction. Please bring your own garden trowel and gloves. A green thumb is not required, just a willingness to help out. DHS JR Gardeners group is gearing up for another exciting season. If you have a child between 6-14 that would like to plant their own garden, complete with scarecrow, one on one instruction, plants and seeds, to get started or attend optional workshops, please contact Margaret Bottrell 289 683-8850 or Judy Jeffery 905 701-4656. (program limited to 35 children). Please Contact DHS President Debbie Thomas 905 774 3064 or Deb Zynomirski Vice Pres. 905 774 8453. Perennials, like trusted friends, always bring beauty to our gardens. I enjoy keeping a gardening journal. Perhaps you do, too. Gardeners eagerly anticipate what will bloom next in their gardens. Daily surprises mysteriously pop up in the soil, waiting to awaken us from our sleep. With coffee in hand, my day begins with a gentle walk through the garden. Its gifts of new fragrances and beauty amaze me. I like to record and remember my garden with photographs and notes to jog my memory when I forget. I use a “Greeting Card Calendar/Organizer” to journal my garden blooms. Sometimes the cold grip of winter lingers on and seems like it will never release its harsh clasp. Other times it seems spring arrives early which is always a warm welcome. Nature teaches us many life lessons like patient waiting and letting go. As in life, each garden season has its joys and challenges, birthing and dying, planting and digging up. April gives us first glimpses of blooms in our garden. Spring bulbs open with fresh hope and promise. Forsythia bushes flaunt their sunny yellow disposition bringing bright cheer. 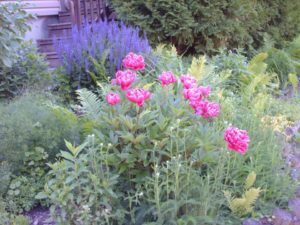 Tried and true perennials like peony, bleeding heart, and forget-me-not are timeless friends we can always depend upon in our flowerbeds. Gardening can be a solitary endeavour or one shared with friends. 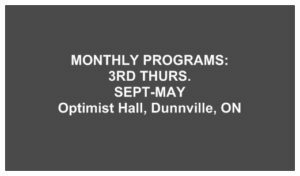 The Dunnville Horticultural Society hosts monthly programs and other events. Everyone is welcome, non-members and members alike. Visit us on April 15-16 at the Dunnville Lions Home and Garden Show and participate in our free mini-demonstrations. Discover the benefits of membership like Bus trips to Wineries, Garden Tours to local gardens, and inspiring monthly programs. Karen Richardson (Curator, Haldimand County Museum and Archives) will be speaking on “Early Kitchen Gardens” April 21, at 7-9pm. Returning guest, Lester ‘Macgyvor’ Fretz (Lowbanks/Port Colborne), will be speaking on “Backyard Greenhouses” on May 19 at the Optimist Hall, 101 Main St. W., Dunnville. For more information, http://dunnvillehortsoc.gardenontario.org or call Debbie Thomas, President (905) 774-3064 or Deb Zynomirski, Vice President (905) 774-8453. Our April Monthly Program evening began with setting a new record for April …..91 people signing in!!!! Debbie Thomas warmly welcomed everyone. A special welcome was extended to new members and housekeeping details were explained including washroom locations, refreshments by volunteers, Ways & Means, emergency exits, and our sign-in sheet. In keeping with Volunteer Recognition Week, our faithful DHS volunteers were recognized. Heartfelt appreciation was expressed to our Board of Directors. Debbie Thomas thanked our Directors who work tirelessly and passionately, often behind the scenes, contributing to a successful organization. Our membership drive at the Dunnville Home and Garden Show, April 15-16, produced an outstanding increase of 83 persons, already exceeding our 2015 membership of 206. We are grateful to Gloria Hunter and Deb Zynomirski for their creativity and hard work in organizing this event. Our booth was inviting. Mini demos were offered by Marlene Link, “Good and bad mulches” and Sandi Marr, “Porch pots” and “Fairy gardens.” Thanks as well to members who helped with set up, clean up, and volunteering at our booth over the 2 days including: Ellen Guenther, Ian Steel, Pauline Bradford, Mary Lou Johnston, Judy Jeffery, Margaret Bottrell, Kim Dickie, Beth Powell, Ken Sherwood, & Agnes Wolters. Thanks to Donna Cavers for booth props and Judy Jeffery who donated pansies, to make our booth look lovely. Saturday, May 14 is our Annual Plant Sale, our biggest fundraiser of the year, one week later than usual. If you have any plants to divide/remove from your beds to donate to our sale, please drop off Friday May 13th at the Farmers Market between 5-7pm. Please have plants in pots and identify type and color. Also, this year we will take any outdoor garden type art, furniture, decor, or planters you wish to donate. No books, please. Saturday, April 30 is District 9’s Spring Forum, open to all Horticulture members, from 9am-3pm, at St. Andrews Church Parish Hall, 156 Main St. W. Grimsby, ON. Lunch and meeting is $20 with guest speakers and flower shows. More details are on our DHS website. We will be awarded the “Doris Lightheart Award” given out to the Society in District 9 with the highest percentage increase of membership. In 2015 our increase was 59.68%. In 2014 we set a goal of 200 members in 2015, which we exceeded. We should feel proud of this accomplishment. You may have noticed the large Spring flower pot arrangements placed Uptown, courtesy of Dunnville Business Improvement Association (BIA). The Rotary Club is partnering with us again and donated $2000. The proceeds will be going towards new concrete curbing to be installed around the East and West “Welcome Signs.” Watch for the progress on these beds with all new plantings to follow by DHS. Our 2016 Jr. Gardeners Program is launched under the leadership of Judy Jeffery, Margaret Bottrell and Pauline Bradford. 35 junior members, ages 6 -14 yrs. will be accepted. Feel free to talk to anyone on the Executive about this and encourage those you know who might be interested to join. As a fundraiser through Vesseys (50% profit for DHS), they will be selling good quality bulbs, ready for fall planting. More details will be coming. Mark your calendars for July 10th, “Members-only Summer Garden Tours” replacing the Trillium Awards, this year. You may anticipate visiting over 8 homes showcasing beautiful gardens in rural settings. Details of the specific locations and homeowners will be revealed next month. If you wish to bring a non-member, they are more than welcome. They will be asked to purchase a membership at the first garden they visit. For those interested, our Monthly Program Minutes and Treasurers Report are posted on the back bulletin board. 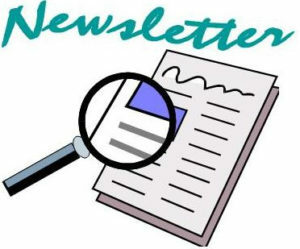 These informational pieces also come through email along with our Newsletter, program reminders, etc. from Kim Christoff. Members’ emails are never shared with 3rd parties. Be sure to check out our DHS website if you have internet. The Grade 3/4 children from Dunnville Christian School offered an amazing presentation on April 4 about their desire to partner with us and the County with ideas for Centennial Park fountain. We are very excited about this new partnership (ie. with garbage pick up, plantings, watering, weeding) and we are hoping to have the refurbishments completed in order for a re-dedication of the Park in 2017 (Canada’s 150th). Members are invited to volunteer on the “Sign Up Sheets” (registration table) for upcoming DHS including weeding and planting. Tonight’s refreshments were provided by Agnes Walters, Beth Powell, Bruce Burton, Gloria Hunter. One volunteer is needed for June. Please speak with someone from the Executive if you are able to help out. Thanks to all who provide these delicious treats which we all look forward. Break time was announced with time for ticket purchases. 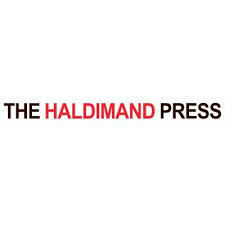 Debbie Thomas called the program to order and Sandi Marr introduced our guest, Karen Richardson, Curator Haldimand County Museum and Archives. Highlights of Karen’s power point presentation “Early Kitchen Gardens” included what our ancestors planted and why. We have much to learn from them especially in our desire to grow our own food and purchase local. Plants were used for food, medicinal purposes, beauty products, and to keep predators away. Early Settlers needed and had every food group to survive. Karen shared many interesting tidbits such as “popcorn was our first snack food.” For those interested, Dam Seeds offers organic heirloom seeds. After a brief question and answer period, Debbie Thomas thanked Karen Richardson and offered a few closing remarks. Everyone was encouraged to celebrate Earth Day, April 22 by doing something good for our earth. Remember our local sponsors, and remember to show your membership cards at Garden Centers for a discount if applicable (not all Garden Centers offer discounts to DHS members). Everyone was dismissed and Ways and Means winners were announced. Thank to everyone for their support. We raised $99.75 from Ways and Means and $66.25 from Kitchen Tips. For many of us, daffodils remind us of our ongoing fight against cancer. Few of us are untouched by cancer — if not ourselves—then a family member or friend. At 50, I was diagnosed with breast cancer. Thankfully, with early detection and treatment, I’m gratefully celebrating 5 years of living cancer free. Joining the fight against cancer takes many forms. We may wear a ribbon, give a bouquet of fresh daffodils, make a donation or find ways to support those living with cancer. Small acts of kindness really do make a difference. Before putting fresh daffodils in a vase, hold the stems under water and trim off the bottom of the stems. Put your daffodils in a vase of their own. Their stems have a compound that’s toxic to other flowers. At night, cover your bouquet with a sheet of plastic wrap and leave them in the refrigerator overnight to extend their blooming period. Place pots of daffodil near a window so the plants receive bright but filtered light. Direct sunlight can burn the foliage and also causes the blooms to fade more quickly. Check the soil once or twice a week and water when the top inch of soil feels dry. Fertilize the soil with a soluble balanced fertilizer once every two weeks after the last flower fades if you plan to transplant the bulbs. Move the pots outside to a full sun location after frost danger. Cut off the foliage after it yellows and dies back naturally. Transplant the bulbs to a well-drained garden with full sun exposure. 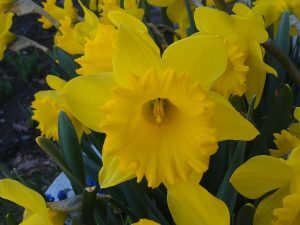 Plant daffodil bulbs with the pointed tip 2 inches beneath the soil surface, and space bulbs about 5 inches apart. They will remain dormant through summer and winter, producing new flowers in spring. If gardening is something that sparks your interest, visit us on April 15/16 at the Dunnville Lions Home and Garden Show or join us for a free monthly program of the Dunnville Horticultural Society. Everyone is welcome, non-members and members alike. Karen Richardson (Curator, Haldimand County Museum and Archives) will be speaking on “Early Kitchen Gardens” April 21, at 7-9pm. Returning guest, Lester Fretz (Lowbanks/Port Colborne), will be speaking on “Backyard Greenhouses” on May 19. Come enjoy an evening of friendship, food, and fun garden give-aways at the Optimist Hall, 101 Main St. W., Dunnville. Next up May 19th, DHS monthly program featuring, Lester Fretz a returning favorite, presenting on backyard greenhouses. Doors open 6:30pm meeting starts promptly at 7pm at the Optimist hall. Program is open to everyone, a membership is not required, also includes draws, refreshments, and friendly people all in one place. April’s program had 91 sign in, a record for April. DHS attributes the great turn out to the membership drive held at the Lions Home Garden and Craft show this year, providing DHS amazing exposure to engage with the public.